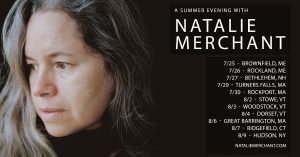 Natalie has announced a summer tour of intimate venues across the Northeast United States. With few exceptions, these are towns where she’s never performed. Tickets go on sale to the general public on Friday, April 12 at 10am ET.